Gamers have had plenty to keep them busy in recent weeks thanks to free trials of titles like Overwatch, Rainbow Six Siege, NBA 2K18 and Cities: Skylines. This week, the focus is on updates to existing games you may already have (or might be buying soon). Nintendo recently launched a free update for Super Mario Odyssey that adds a fun new minigame to the 3D platformer. 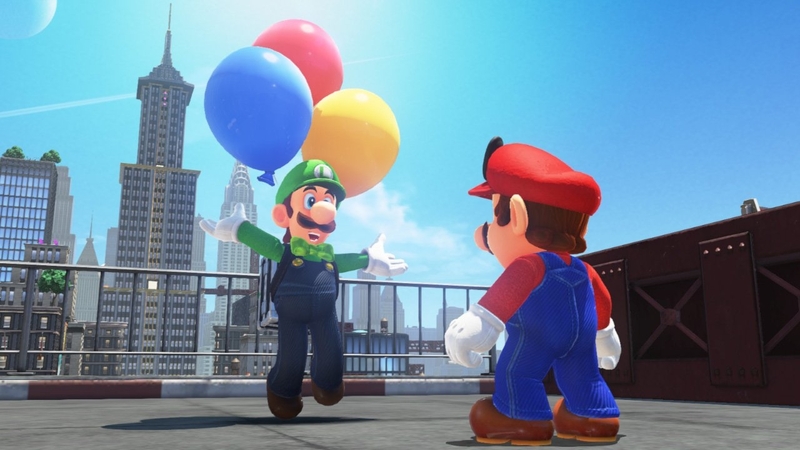 Dubbed Luigi’s Balloon World, the minigame is available to try after beating the main story. Players simply need to locate Luigi in each kingdom and initiate a conversation to get started. Balloon World offers two modes. In “Hide It,” gamers are tasked with hiding a balloon somewhere in the kingdom they are currently in while “Find It” challenges players with finding balloons hidden by other gamers. Think of it as a passive multiplayer addition – you’re competing against other real players (yes, there are leaderboards) albeit without the headaches that sometimes accompany matchmaking or co-op play. The Super Mario Odyssey update also includes a handful of new outfits for Mario and additional Snapshot Mode filters. Blizzard, meanwhile, has a new update out for Warcraft III: Reign of Chaos that delivers some significant changes to the long-running real-time strategy game. Patch 1.29, available now on the Public Test Realm, adds support for widescreen monitors (bookends for the in-game interface and black pillars in menus to prevent stretching) and support for up to 24 players in game lobbies. The update also includes balance adjustments for several characters, world editor upgrades, bug fixes and more. Notably, this will be the last version of Warcraft III to support Windows XP which launched less than a year before Blizzard’s RTS. Blizzard also announced the first Warcraft III Invitational. Hosted by casters Neo and Remo from Back2Warcraft, the event kicks off on February 27 on Twitch from Blizzard’s HQ with a smattering of special events and well-known Warcraft III competitors expected to participate. Following in the footsteps of StarCraft 2: Wings of Liberty, Blizzard is also rumored to be working on remastered versions of Warcraft III and Diablo II. Perhaps we’ll get official confirmation on these titles during the upcoming invitational? Square Enix on Thursday announced plans to launch a free playable demo of Final Fantasy XV Windows Edition on Monday, February 26. The demo will be offered on your platform of choice (Steam, Origin or the Microsoft Store) and will feature the complete first chapter of the main game. Square Enix is billing it as an opportunity to explore the game’s tutorial and test how it runs on your PC. Final Fantasy XV Windows Edition launches on March 6, 2018. Those who pre-order will be able to claim the Half-Life pack via Steam Workshop which includes an in-game costume modeled after the suit Gordon Freeman wore in Half-Life. The Half-Life items are in addition to previously announced pre-order bonuses for each platform (Steam: FFXV Fashion Collection, Origin: FFXV Decal Selection, Microsoft Store: FFXV Power-up Pack). More information on the bonuses can be found over on Square Enix’s blog.